New XP line: small size, great power. 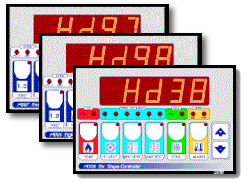 color display screen 3.5” with 320x240 dots resolution with led backlighting. XP Line is made in DIN 96x96 format and the module dimensions are 96x96mm. The decision to offer highly targeted products and simple to use, has led us to realize the 68 models in this article. 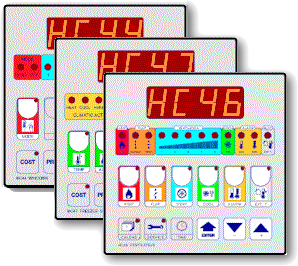 The X line of products are composed of a central unit, which is the main element of the system, display (4.3”) 32768 colors resolution QWVGA 480x272 dots with backlit with LED lamps that provide excellent visibility in all light conditions. The decision to offer highly targeted products and simple to use, has led us to realize the models in this article. 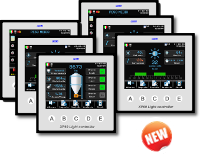 The Q line products are composed of a central unit, which is the main element of the system, display (7”) 65536 colors resolution WVGA 800x480 dots with backlit with LED lamps that provide excellent visibility in all light conditions. 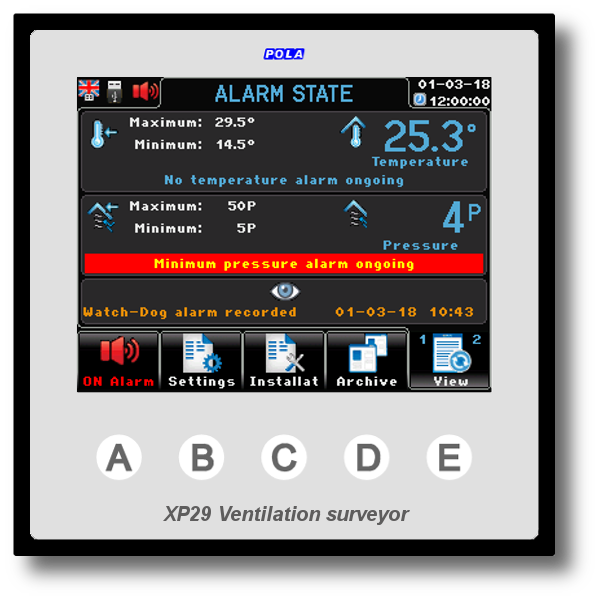 XP29 works as complete alarm for a forced ventilation system, it is recommended as independent alarm. 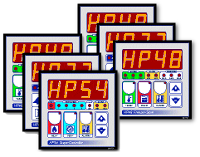 XP38 5 speed steps controls for transformer regulators. XP40 manages the up/down lift of mangers and drinkers according to an independent daily lift calendar. 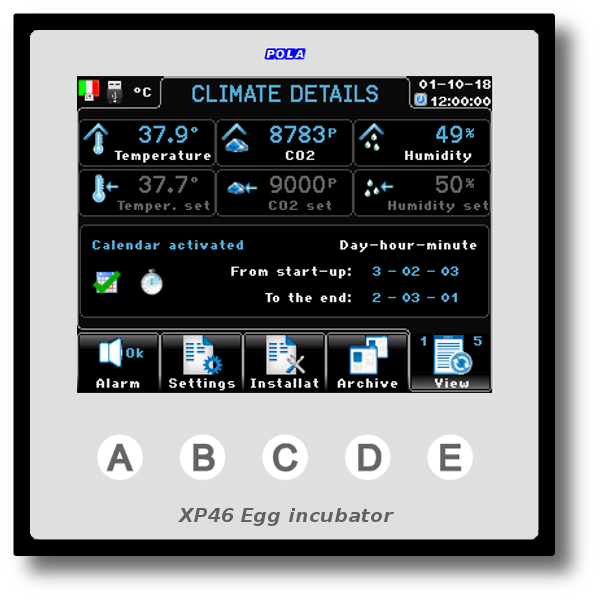 XP46 Temperature/humidity/CO2 egg incubator control. 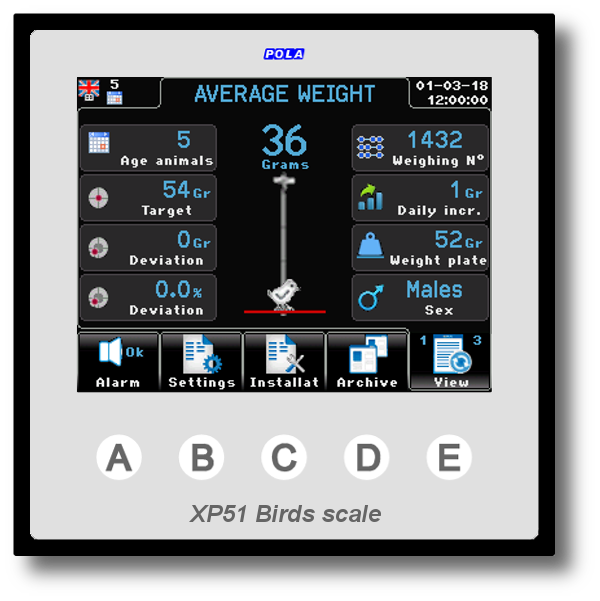 XP51 makes the weight control by a multi-weighing system. 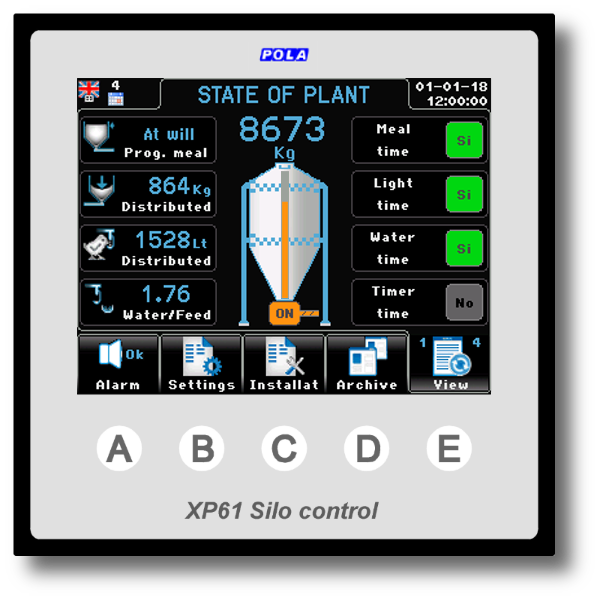 XP61 it carries out weight control by connecting it to the load cells of the silo. 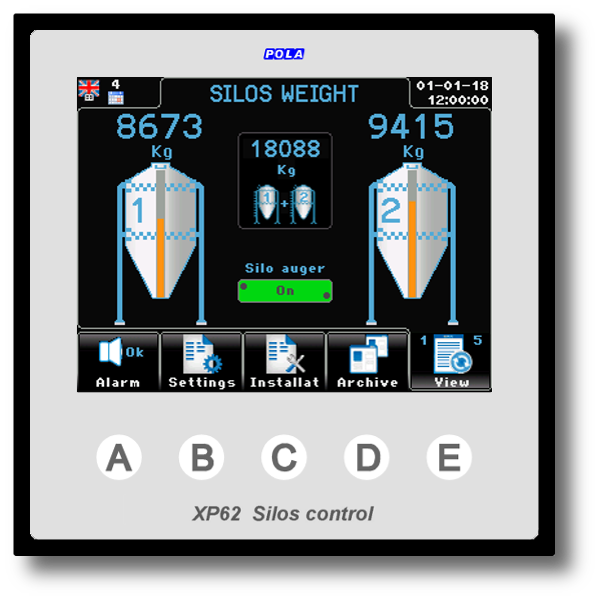 XP62 it carries out weight control by connecting it to the load cells of 2 silos. 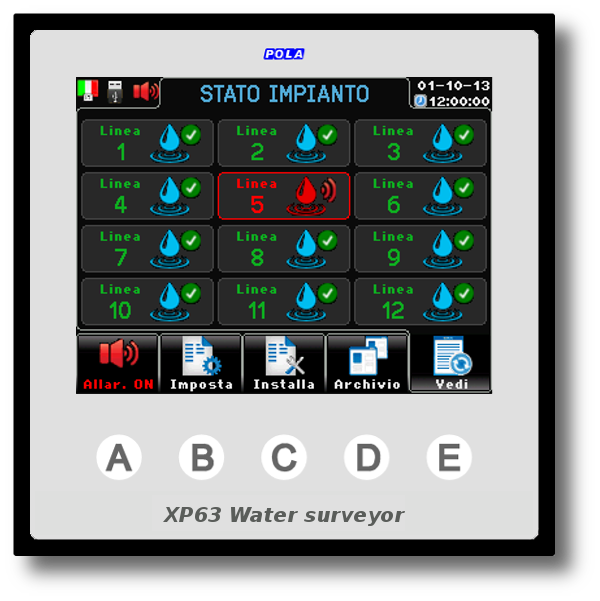 XP63 manages water alarm for drinkers lines (max. 96 lines) for layer houses (in cages or aviaries). 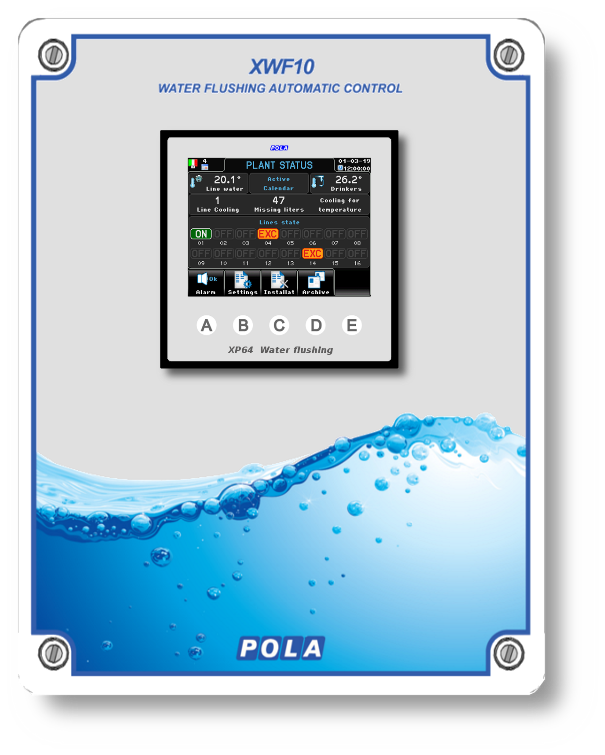 By this control you can diagnose the lack of water in one of the drinkers lines. 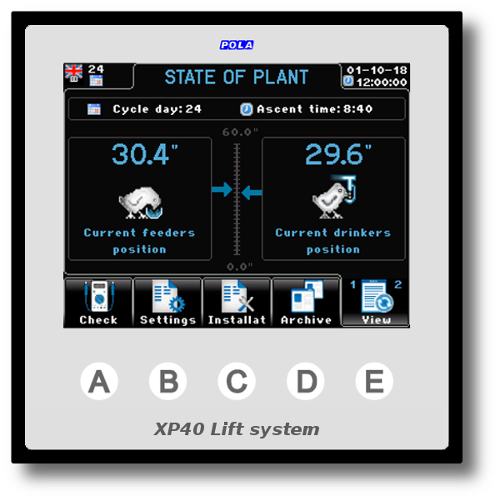 XP64 Realizes the automatic control of the washing / cooling of drinking lines. 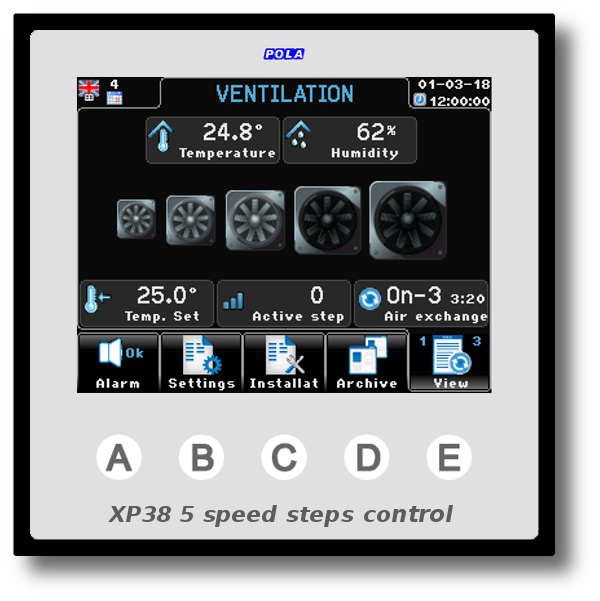 XP65 controls 5 steps on-of ventilation. 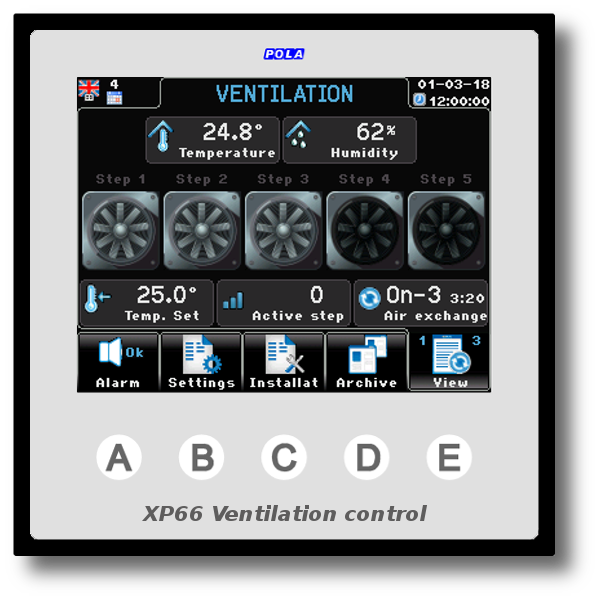 XP66 controls 5 steps on-of ventilation. Also it features one 0-10V output to control fans by inverter. 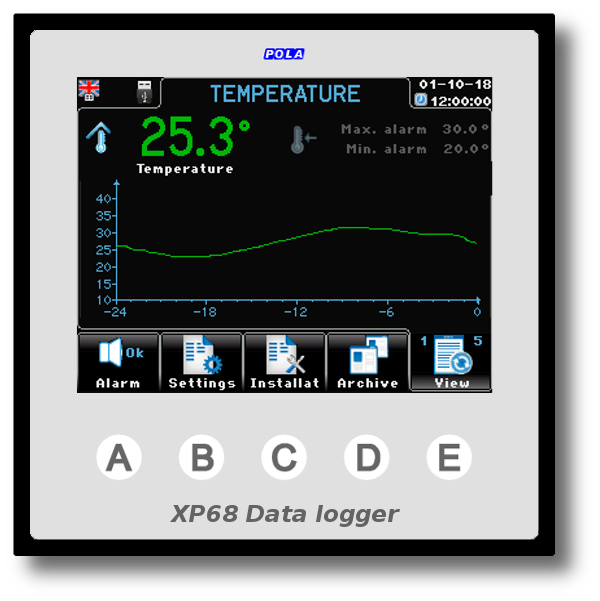 Ambient temperature, Ambient humidity, Ambient CO2, Ambient NH3, External temperature. 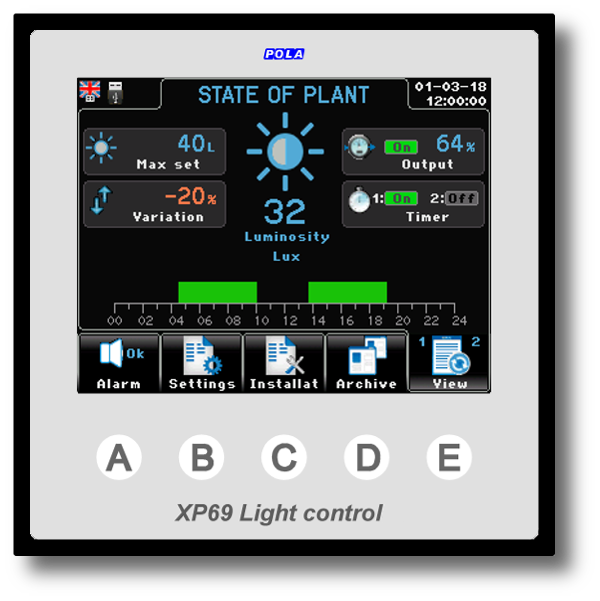 XP69 controls ascending and descending ramps and the stand by timing at minimum value and is compatible with all dimmable lights 0/10v. 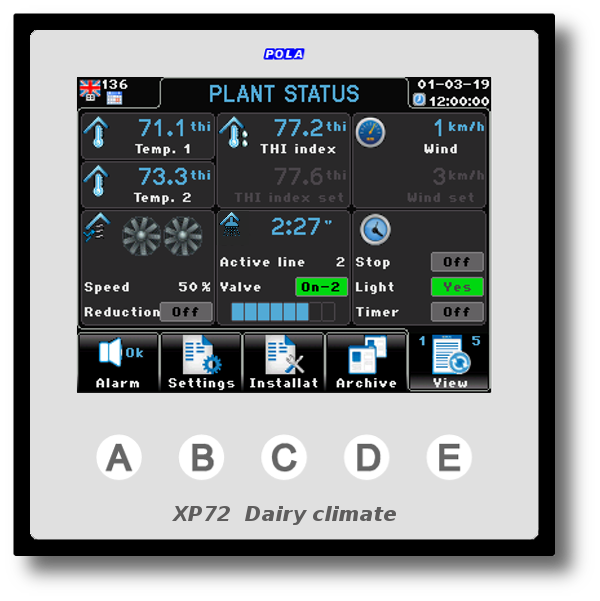 XP72 controls both the ventilation system and the sprinklers system of a dairy farm in an independent way. Xfarm performs climate and feeding control. By setting a few parameters in “Climate configuration” you can choose between several types of typical climate control systems and by “Feeding configuration” you can choose between several types of typical feeding control systems. The main Qfarm feature is that you can fully set and customize the house working configuration. This is easily done connecting the Qfarm to a PC through the Qfarm Lab software. 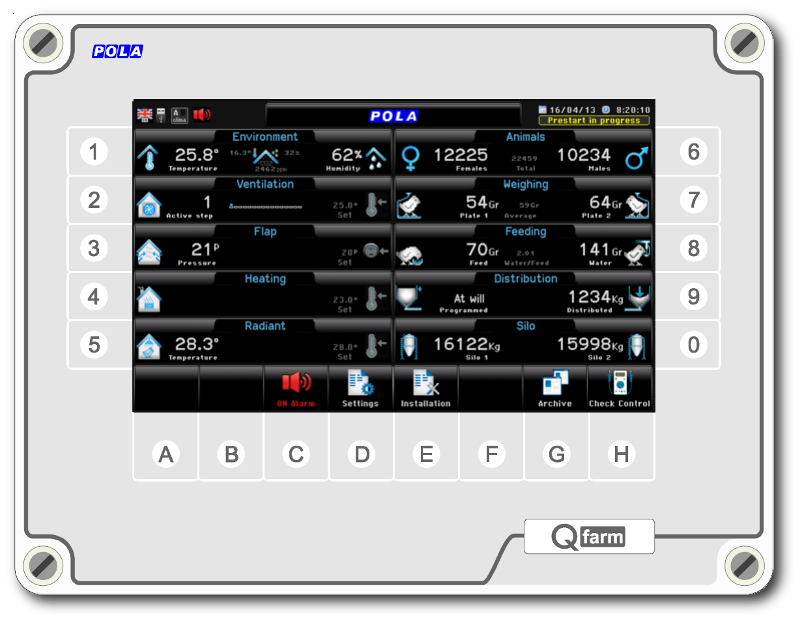 The Qfarm can manage up to 112 inputs, 108 On-Off outputs and 44 0-10V outputs. 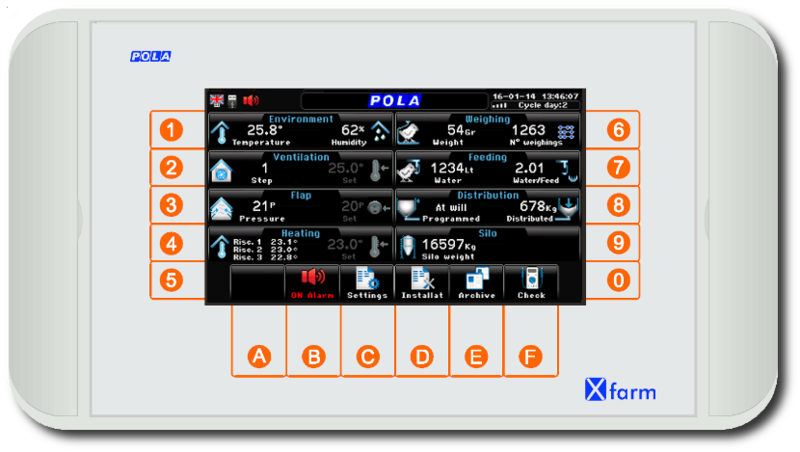 Qfarm Lab programming software has a step-by-step procedure with graphics and notes which enables you to define and configure the working parameters of the house. 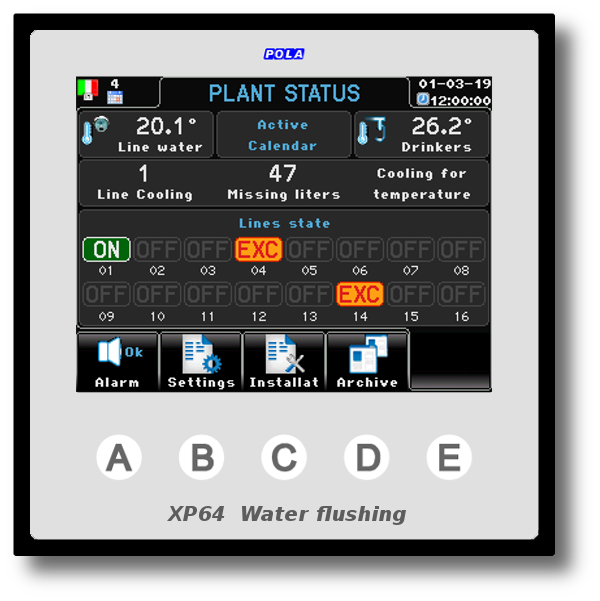 XWF Wired wall panel for valve control including XP64 module.